Let DH Complete Cleaning bring new life to your UPVS frames. We carry out UPVC cleaning for commercial and residential customers, whether this is a one-off basis or contract cleaning; we provide an efficient and reliable service tailored to suit your requirements. 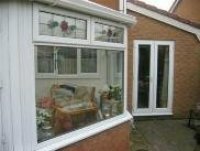 Over time the surface of UPVC windows, doors and conservatories degraded becoming porous and trapping dirt in the surface layer. Even with regular attention, the white frames become dirty and discoloured and cannot be cleaned satisfactory. 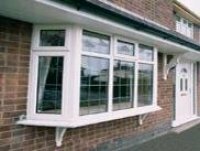 At DH Complete Cleaning, our unique process utilises the latest technology to deep clean and restore the surface of UPVC to its original bright white glossy finish.